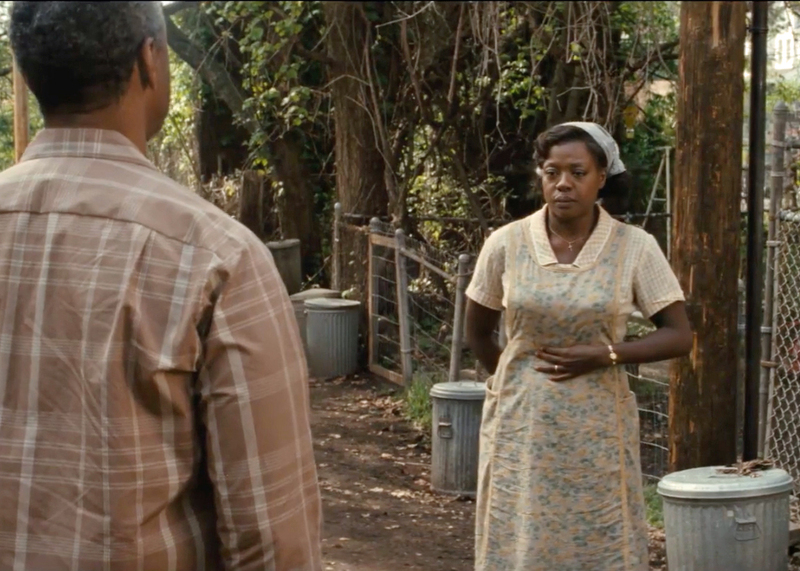 Jan Lisa Huttner weighs in on the 2017 Oscars' biggest brouhaha: Why was Viola Davis nominated for Best Supporting Actress rather than Best Actress? A few years back, Viola Davis was nominated for a Best Actress Oscar for her performance as "Abileen" in The Help, but the Oscar that year went to Meryl Streep for her performance in The Iron Lady. This was an egregious error, and a moment of shame for all people of conscience. First I fought the [mostly male] members of the Chicago Film Critics Association (which I was a member of at the time) who wanted to put Viola Davis in the Best Supporting Actress category. D'uh! Screenwriting 101, guys. When a character opens a film (in voiceover) with her story and then that same character closes the film (again in voiceover) with the ending of her story, then it is HER STORY told by her. "Skeeter"(Emma Stone) is a supporting character in the arc of a story told by "Abileen" (Viola Davis). Sadly, this battle (part of an ongoing battle thru-out my seven years of CFCA membership) was simply par for the course. Second, I also had to battle members of the African-American community. This was unexpected and even more sad for me as I had watched the film for the first time in a large Chicago theatre filled primarily with African-American women, and when the credits rolled they were as jubilant as I was. I never read the eponymous novel on which the film version of The Help was based, so maybe those who read the book first and then saw the film, saw a different film than the one I saw. I can't say. I am a film critic, so my primary responsibility is to tell my readers what is in the film. In the film, the main character is Abileen. Full Stop. 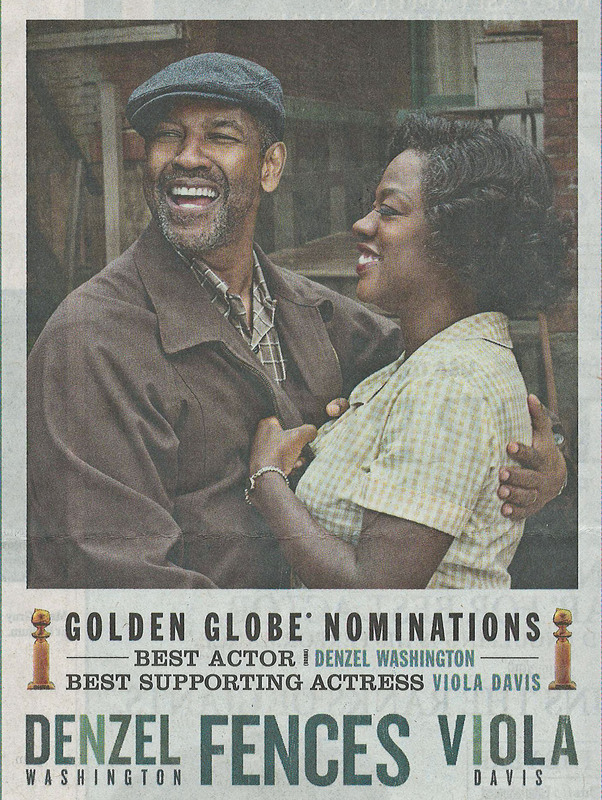 On Sunday, she received a Best Supporting Actress Oscar for her performance as "Rose" in Fences. This win was totally and triumphantly appropriate. And yet some people (mostly guys) are complaining, saying it was not only fraud but "obvious fraud." This stance is preposterous, and it also demonstrates an enormous lack of respect for a truly phenomenal woman. Does it not occur to any of these people (mostly men) that Viola Davis knows more about the world than they do?!? 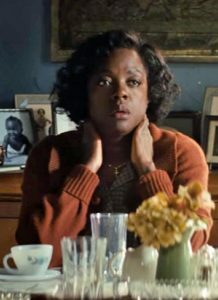 Viola Davis made this decision herself (to be placed in contention for BSA not BA) because she knows who she is -- she knows who she is in herself, she knows who she is in the world, and she knows who the character of Rose is in this film. So please stop tarnishing this triumphant moment for her. Viola Davis is a marvel both in herself and in the world, and her performance as Rose is beyond perfect. So if you won't do the homework yourself, then at least listen to her and show some respect!!! 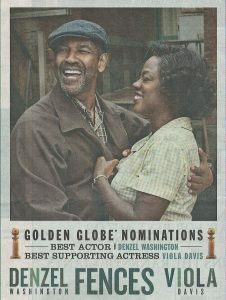 Top Photo: Viola Davis as "Rose" in Fences. 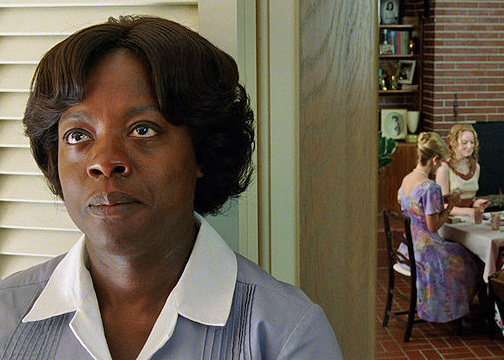 Middle Photo: Viola Davis as "Abileen" in The Help. Adding insult to injury in the sad story of the 2012 Oscars is the fact that The Iron Lady simply is not a very good film, and great as she is -- and she is -- playing Margaret Thatcher was not one of Meryl Streep's best moments onscreen. Nevertheless, when I wrote my review, I complained about the fact that while Streep herself is almost always nominated for almost everything, her female colleagues behind the camera almost never are (something I find particularly infuriating in the cases of The Devil Wears Prada and Julie & Julia). Next postOscar ’17: Who was the biggest winner of 2017?